Have some yellow, green or/and red bell peppers stuffed with bean sprouts, couscous (optional) and onions. It’s a healthy and diet-friendly Halloween treat that contains few calories but a lot of nutrients, including antioxidants. 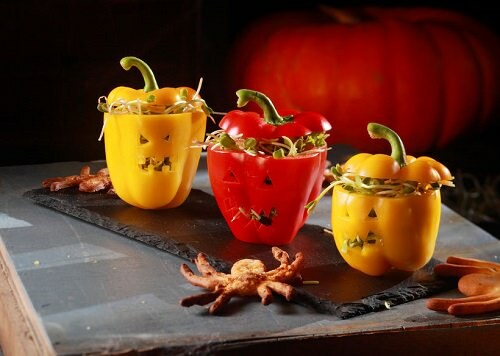 Carve some scary faces to make little, spooky bell pepper Jack-o-Lanterns.